One of our favorite hoods for wandering without a plan is the West Village, as well as the adjoining Greenwich Village. 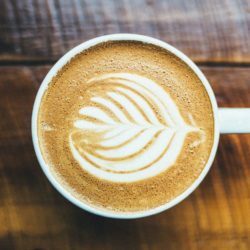 There’s just so much to do and see, and the ambiance created by the leafy parks, historic architecture, and, in certain areas, cobbled streets and sidewalks, make the local experiences even more enjoyable. 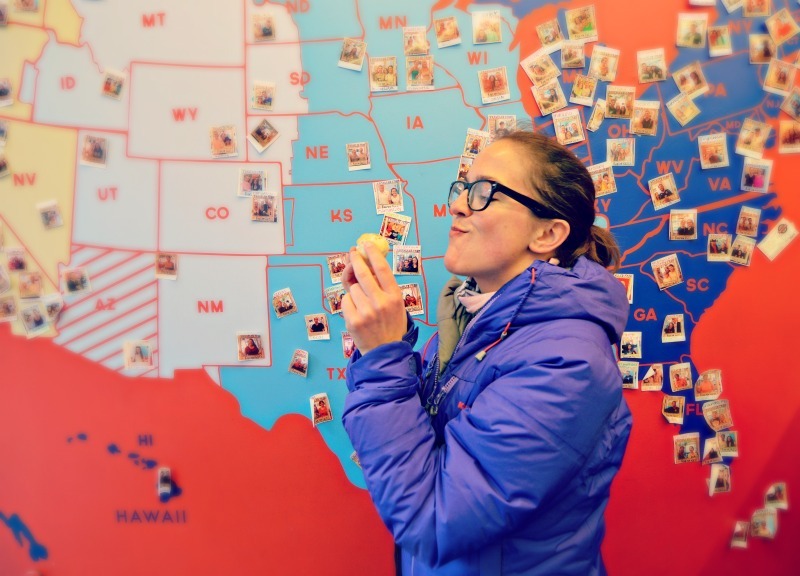 Tip: Looking for something fun to do in NYC? Check out our private custom photo safaris, as well as these nightlife, culinary and other fun tours from our partners! 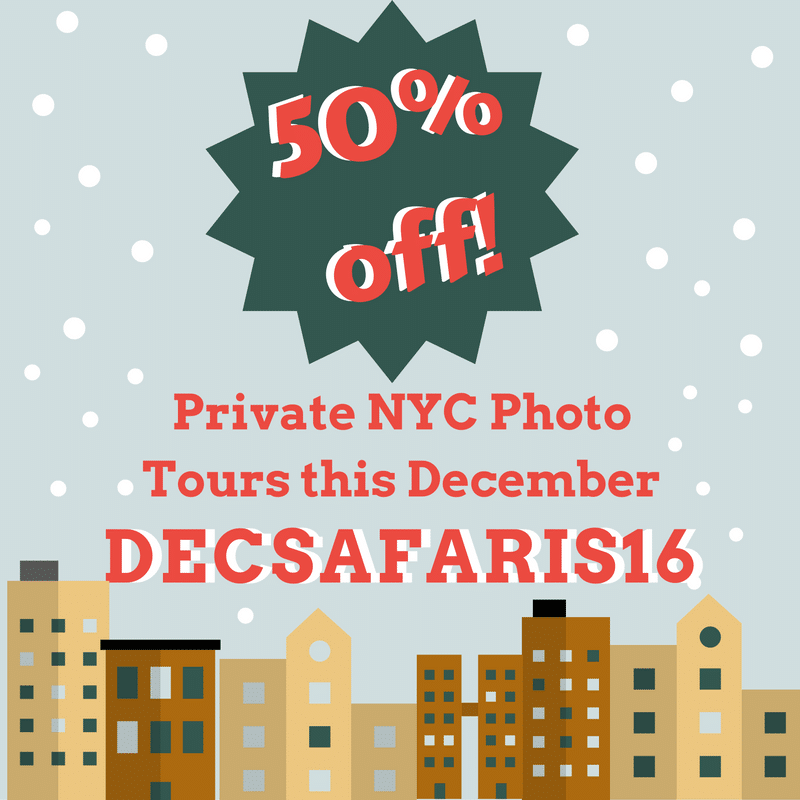 Use code “DECSAFARIS16” for 50% off private December tours! The whole formation of our Greenwich Village staycation came thanks to an invitation by this 152-room boutique property, which sits on a quaint cobbled street of NYC full of 18th century architecture, right off Washington Square Park. As soon as you walk through the hotel doors it feels as if you have been transported to old world Europe, with a grand marble staircase and check-in desk, oval-shaped portraits and black and white photos. Lots of deep reds and gold, and a history dating back to 1902 when it was the small 8-storey residential Hotel Earle in 1902. The most eye-catching items are the work of Rita Paul — former owner of the Washington Square Hotel. Her Hand-painted tiles hang in the entrance hall, and some accent the floor of the North Square restaurant. More of her tile art brings life to the lobby walls, giving the hotel a Bohemian feel. 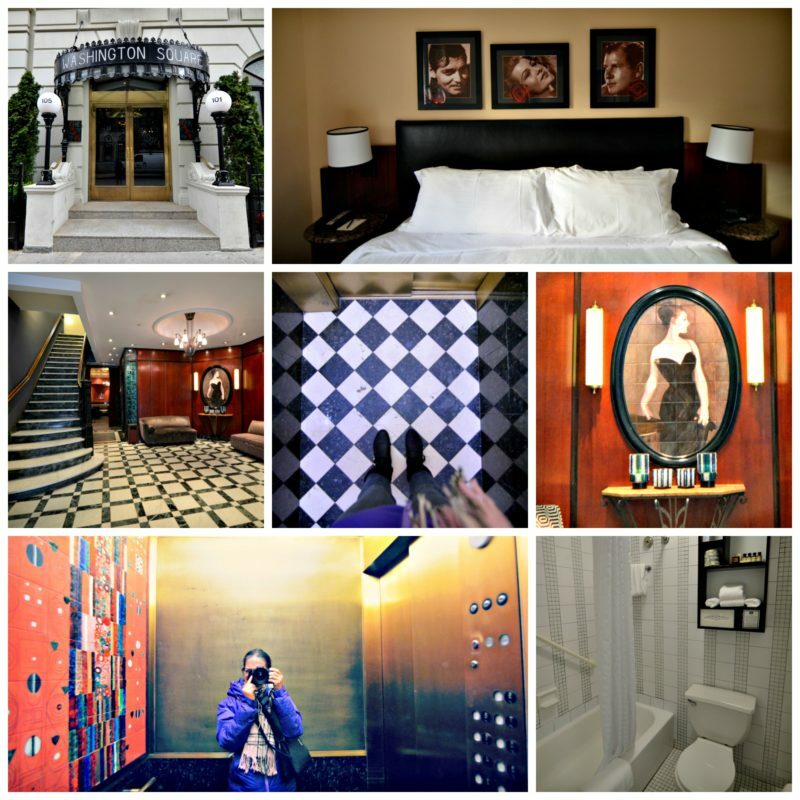 Rita also worked with Christina Ziegler of CZ Design to bring art deco design to the Washington Square Hotel, thoughtfully redesigning rooms with inspiration from that period. Price range: $225-$490 per night, including a continental breakfast and free Wi-Fi. 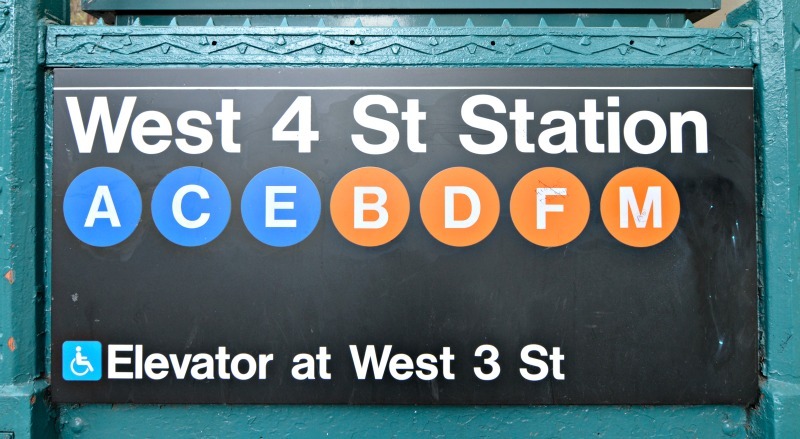 What can be confusing to many visitors is how NYC neighborhoods quickly blend into one another. One second you’re in the Lower East, then suddenly you’re in the East Village until you’ve stepped right into Alphabet City. 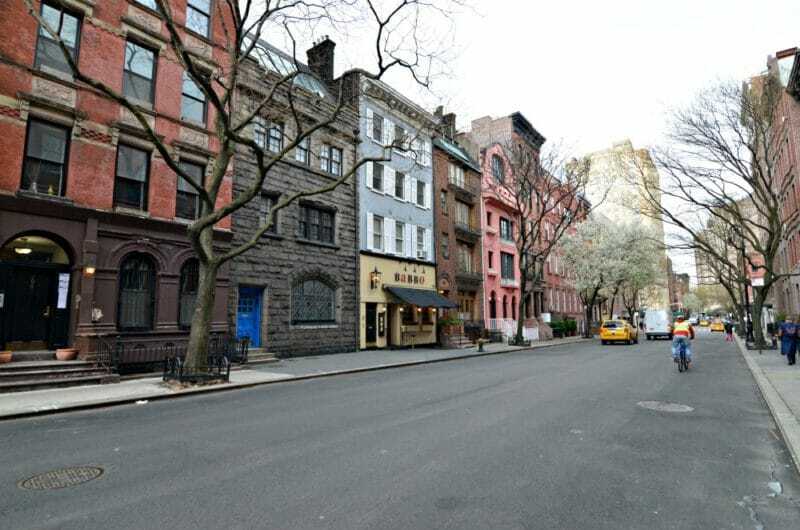 In terms of Greenwich Village vs West Village, they can sometimes be synonymous as the West Village encompasses the western part of Greenwich Village (debatably west of 7th Avenue). What’s very cool about the neighborhood is it still has a very bohemian, independent feel. Sure, you’ll find some big brand stores like Burberry and L’Occitane en Provence, but even those look like local boutiques amidst the plethora of red brick buildings with sprawling ivy, Italian-style churches, storefronts with wooden benches and smiling shopkeepers offering samples, leafy streets (some with genuine cobbled streets and red brick sidewalks), and historic homes and eateries. For visitors who have only explored midtown, you may think I’m bluffing. Luckily, we have pictures to prove it. We’re far from architecture buffs, but step out of the hotel and you’ll find yourself whispering, “This street is so cute!” every other minute. A favorite thing to do in Greenwich Village/West Village — and in NYC in general — is wander with a camera and photograph the beautiful buildings in their various styles. This neighborhood is one of the few to have a wooden home, dubbed Twin Peaks, as they’re technically now illegal due to fire codes. It was originally built in 1830 as a pitched roof wooden cabin for artists. You’ll also find Federal-style homes (the oldest house in Greenwich Village dates back to 1799 and is at 77 Bedford Street), Victorian Gothic structures, Gothic Revival and more. Here is a nice walking itinerary for anyone interested in the local architecture. Sadly, it would be hard to call Little Italy a hub for Italian culture today. Instead, we’ll recommend heading to the West Village (or Arthur Avenue in the Bronx) and having a seat outdoors at Numero 28 Pizzeria. 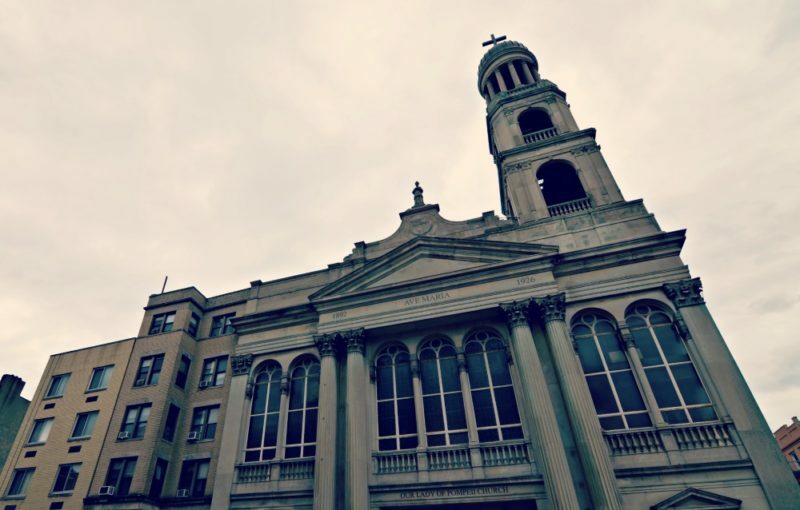 Their brick oven Neapolitan pizza has a delicious smokey flavor, and you’ll have a beautiful view of the grand Italianate-style Our Lady of Pompeii Church, built to help the flood of Italian immigrants coming to the neighborhood. Adjacent is the fountain-adorned Father Demo Square, named after Father Antonio Demo (1870-1936) who was the pastor of the church. Also on this corner at Bleecker and Carmine Streets are two amazing ice cream options. First is GROM, an Italian gelato shop boasting all natural ingredients — many of which come from their organic farm in Italy — as well as white cane sugar, cage-free eggs and fresh milk. Many of their flavors showcase the best of Italy like pistachios from Bronte, nougat from near Asti and almonds from Sicily. The other option is Popbar, another gelateria using all natural and high quality ingredients, crafting product in small batches. This shop is really fun as you’ll make your own gelato on a stick by choosing your flavor, what you’d like to dip it in and what topping you’d like it rolled in. Continuing on with the Italian theme, you also need — yes, we said need — to try the arancini at Faicco’s Italian Specialties on Bleecker Street. These $1 rice balls are stuffed with risotto and fried, and the shop has been open since 1900, right after the original owner immigrated from Sorrento in 1896. Bleecker Street is a hub of deliciousness, especially south of Christopher Street. Pasticceria Rocco. Open since 1974, this is a sweet tooth’s dream. 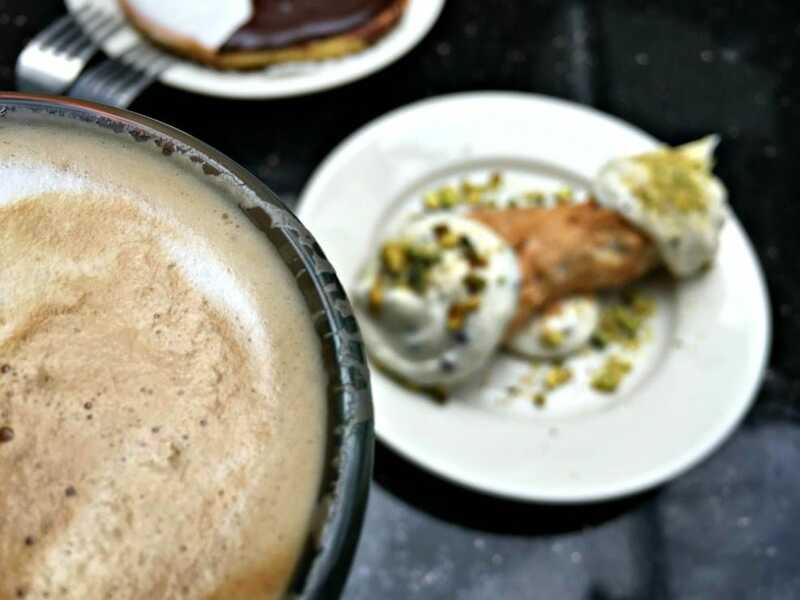 Along with pistachio-laced cannoli stuffed fresh, moist black-and-white cookies, the thickest chocolate chunk cookies you’ve ever seen, baked custard and authentic Italian-style cheesecake, they have the craziest latte menu I’ve ever seen. 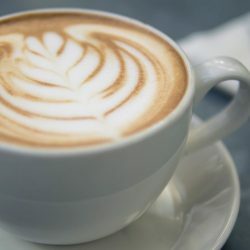 I went for a sweet Vanilla Cupcake Latte made with real cupcake. Other options included cheesecake, frosted shortbread, banana foster, creme brulee, strawberry banana and caramel biscuit, to name a few. Plan for a sugar crash. Murray’s Cheese. No need to look up the address. 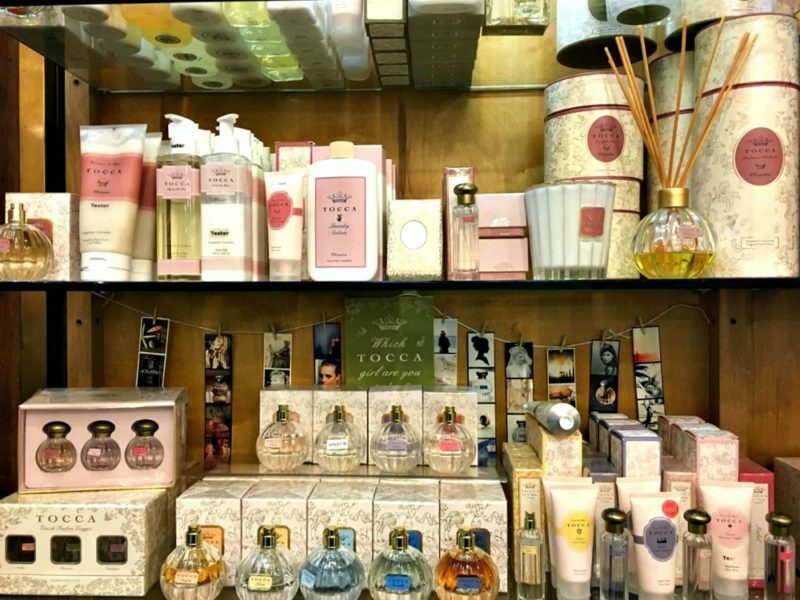 Your nose will guide you to this delightfully stinky shop. 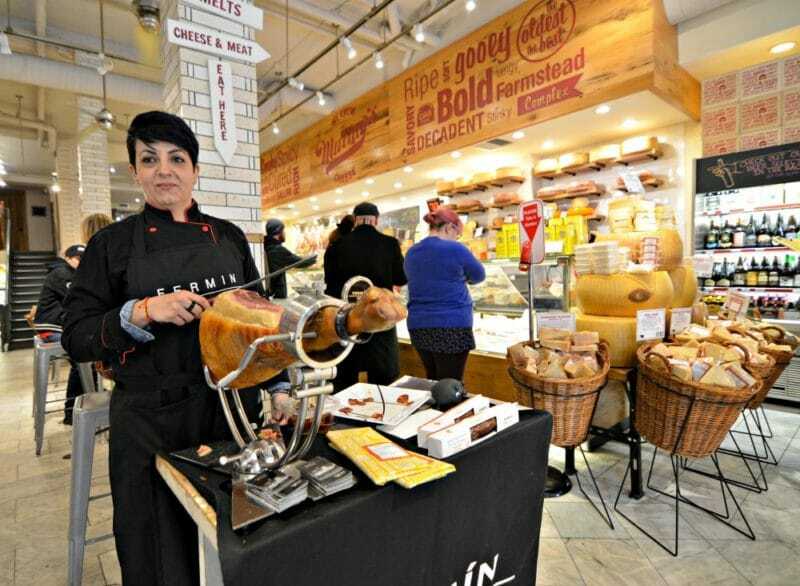 Along with free samples of cheese at the counter, we were greeted by the most knowledgeable Spanish woman offering samples of her acorn-fed Jamón ibérico and natural grain-fed Jamón ibérico chorizo. She was very generous with the samples, and allowed us to taste different parts of the leg — which was $1,500 on its own — to better understand the meat. This place is a must for high quality meat and cheese, or to grab a fresh salad or deli sandwich. O&Co. Free samples galore of olive oils and balsamics in various flavors and ages. The staff was more than happy to explain the different kinds of products and how they were made. They even have an interesting “educational” chandelier made of clear bottles full of oils. While some of the bottles turned clear — meaning it’s their real olive oil gone rancid (olive oil goes bad from sun damage in clear bottles) — others from the grocery store did not, showing many times you’re really buying canola oil. Royce Chocolate. Despite our Rocco’s sugar coma, we were more than happy to savor the free samples of chocolate caramel-laced potato chips and Nama (cream) chocolates. These chocolates are stored in refrigerators to keep them fresh and, if you purchase them, you’re given an ice-filled bag. 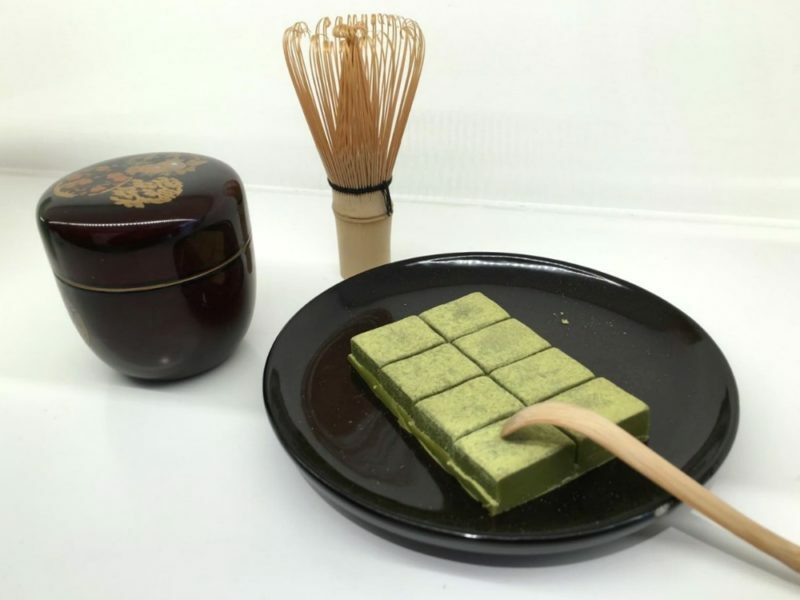 All the chocolates are dainty and beautiful – not surprising as the company is Japanese (and their matcha chocolates are amazing). When the counter woman asked if we wanted a free sample, she first asked if we wanted milk chocolate or dark. Next came the question: “Booze or no booze?” Umm, duh. The cognac-filled dark chocolate was dense, cold and creamy and finished like a homemade chocolate pudding. DAVIDsTEA. These guys always have delicious free samples and staff on hand to explain their loose-leaf teas. In fact, the staff are so friendly that we left with a potential job offer to help plan an event due to the fact we’re guides. That’s the kind of customer service you get in The Village. Bantam Bagels. New York City is known for its bagels, but many don’t know about its mini stuffed bagel balls. The Bantam Bagels founders actually won on Shark Tank. One bite into their “Grandma JoJo” (Italian spiced bagel topped with marinated tomato and stuffed with fresh basil pesto cream cheese) or “French Toast” (cinnamon nutmeg egg bagel stuffed with a buttery, maple syrupy cream cheese) and you’ll understand why. Tip: Get there early if you like butter, as butter-filled balls tend to run out before noon. 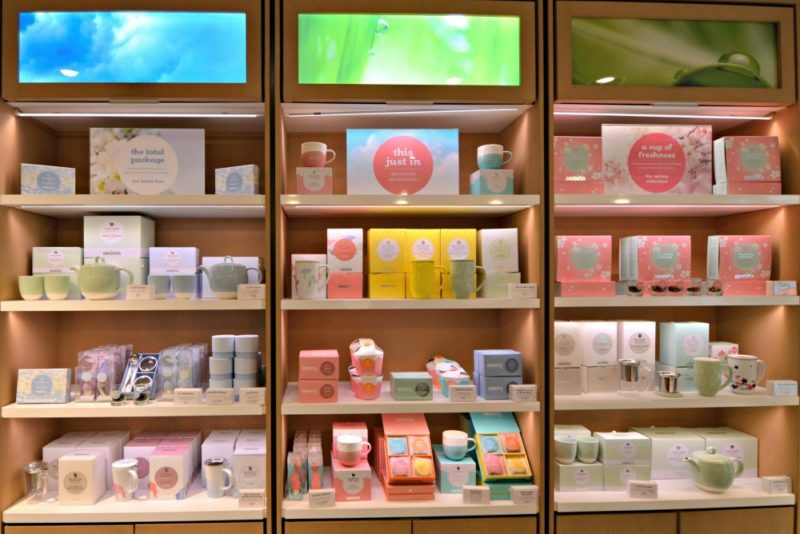 Also on Bleecker Street is Arianna Skincare. We were drawn in by the beautiful tier of “cupcakes” on the sidewalk that actually turned out to be bath bombs. 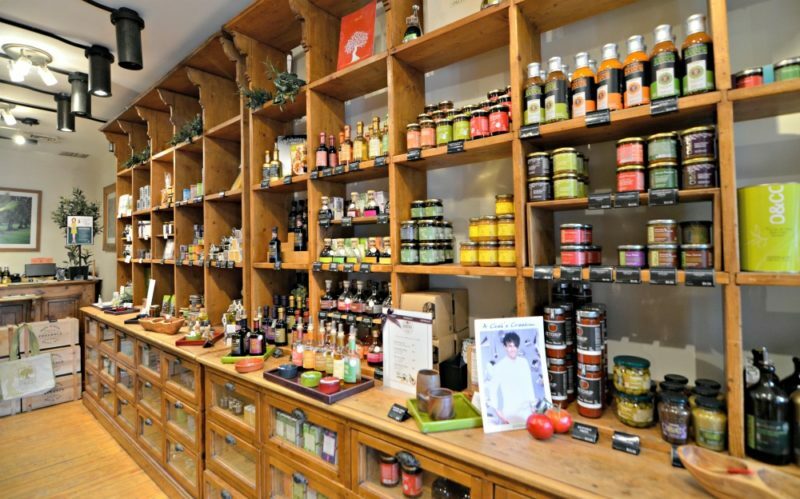 The strikingly handsome Israeli shopkeeper informed us they sold all-natural skincare products that infused healing elements from the Dead Sea. 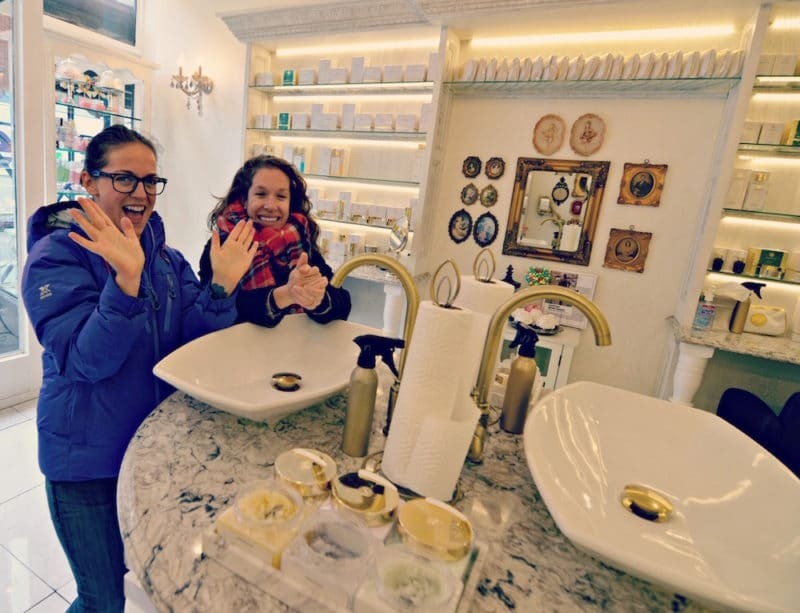 At their sparkling counter, we chose our desired scents — milk and honey, and citrus — and were treated to uber indulgent hand scrubs followed by the massaging of a rich cream onto the skin. Getting free hand treatments at Arianna’s. The Washington Square Hotel is just off Avenue of the Americas (aka 6th Avenue). Look north and you’ve got a prime view of the Empire State Building. Look south and right there is the One World Trade Center. The avenue in this neighborhood is also filled with romantic brick eateries covered in sprawling ivy and dangling plants (like the yummy Olio e Piú) and shops and eateries adorned with retro signs (like the Waverly Restaurant and C.O. Bigelow Apothecaries, open since 1838). 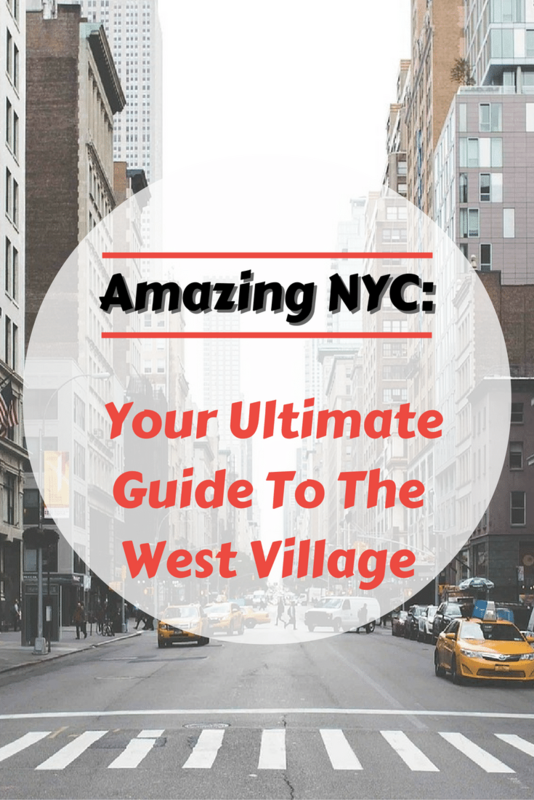 If you’re looking for an unusual experience, the West Village has some to offer. 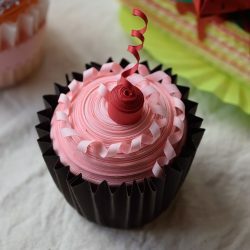 Start with a make-your-own cupcake experience at Molly’s Cupcakes or choose from one of her homemade center-filled specialties. One is the “Cookie Monster” made with vanilla chocolate chip cake and a raw cookie dough center, topped with buttercream and mini chocolate chip cookie. Head over to the sprinkle station to dress up your treat, then park yourself on the counter-side swings while playing one of the board games lining the shop walls. 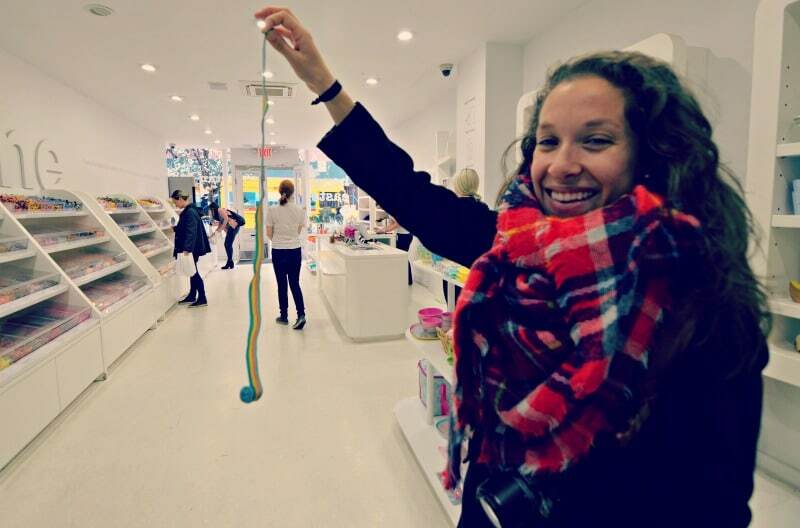 Another odd yet sweet experience is Sockerbit, a Scandinavian candy shop focused on natural ingredients and unique flavor and texture combinations. Their licorice is great and topped with just a bit of salt. We filled up white paper bags like excited kids adults in a candy shop! 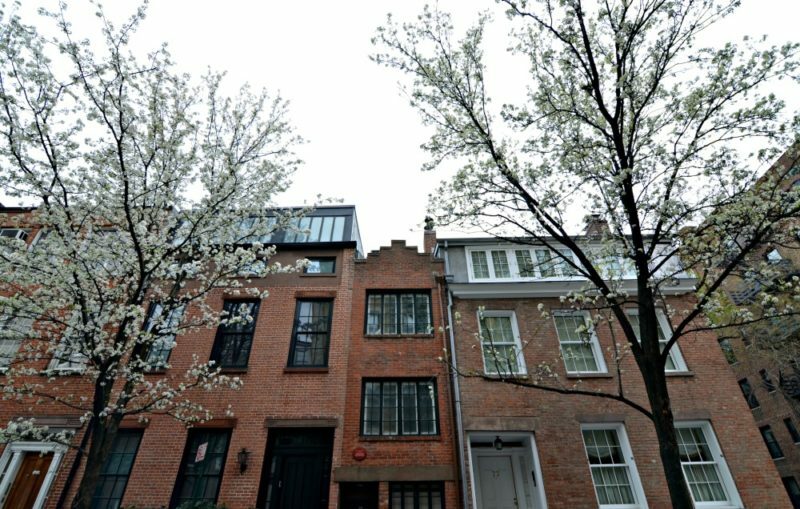 Getting back to architecture, the West Village is where you’ll find New York’s narrowest house at 75-1/2 Bedford. The latest owner reportedly paid $3.25 million for it, despite it’s shockingly skinny shape. Moreover, the property has been home to numerous notable residents over the years, like Cary Grant and Edna St. Vincent Millay. Nearby on Bedford and Grove, right above the Little Owl Restaurant, you’ll also find the facade of Monica’s apartment from Friends. The parks in the West Village aren’t just great for grabbing some peace in a green space; they’re also good for exploring the arts — for free! 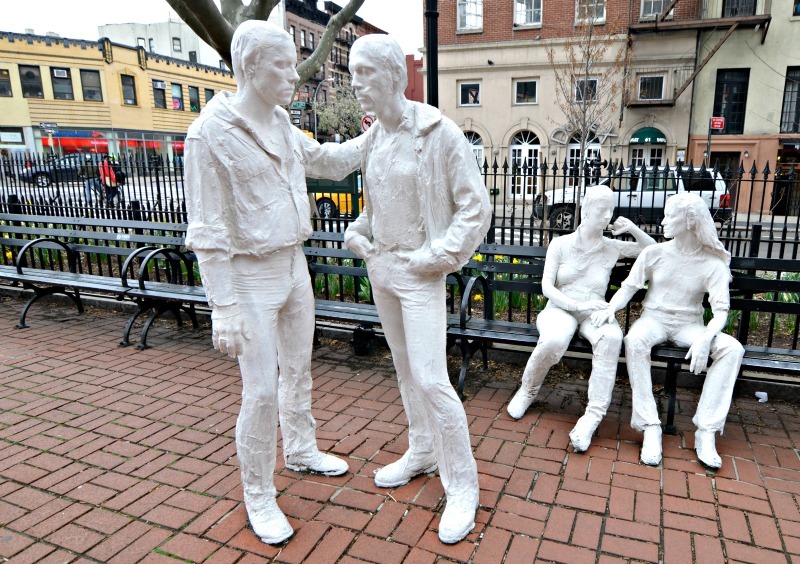 Start with the small and historic Christopher Park and check out the Gay Liberation sculpture by George Segal. As noted earlier, the Stonewall Inn marked the start of the modern LGBT movement, and this bar sits adjacent to the park. Here you’ll find four white sculpted figures — two standing males and two seated females — depicting comfort of the individuals to be themselves in public. 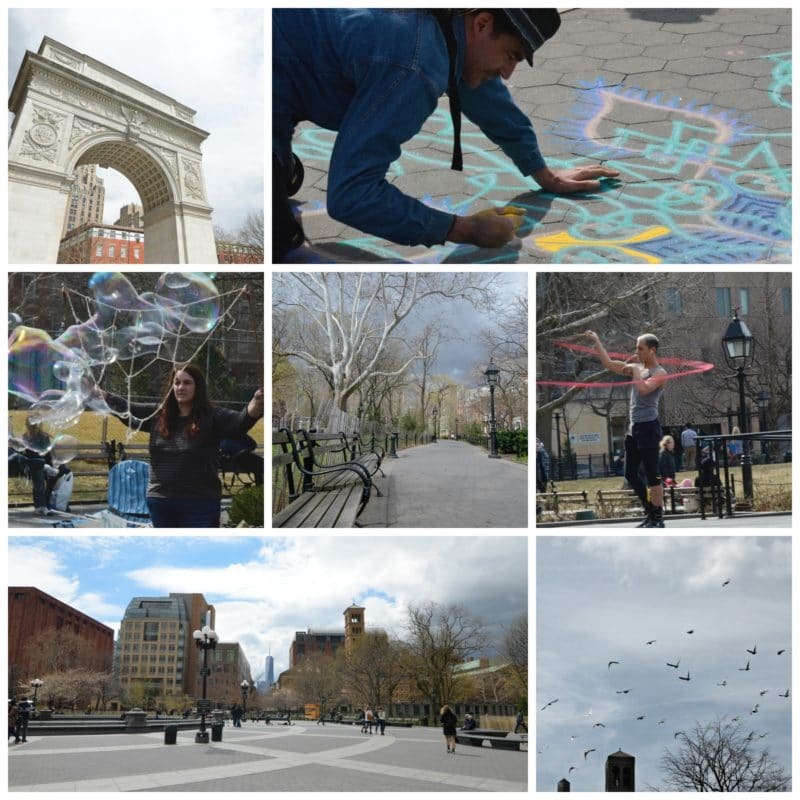 In Washington Square Park, right next to the hotel, you can walk down quiet green and bench-lined paths or through the 1892 grand marble triumphal arch into a giant square full of locals reading books, playing instruments (there’s even midday piano accompaniment), juggling, ribbon dancing, creating bubble art, singing and more. Greenwich Village and West Village certainly aren’t limited to just jazz nightlife; however, it’s a hub for it in NYC (as is Harlem). If you’re a craft cocktail fanatic you’ll love Slowly Shirley. 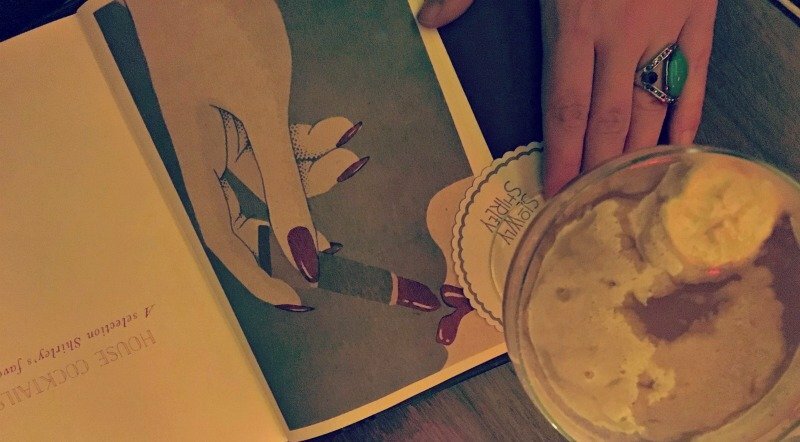 We sipped artfully boozy craft cocktails ($16+) in a subterranean speakeasy atmosphere that was enhanced by a lovely jazz soundtrack. It really felt like something out of the Great Gatsby. Sipping a “Monkey Man” made with Tennessee Whiskey, El Dorado 15 Year Rum, banana, cinnamon, vanilla, pineapple and lime. It tasted slightly sweet with lots of baking spices! Another spot we love is Fat Cat — a laid-back bar with live jazz and tables with cards and board games and fun offerings like pool, ping pong and shuffleboard. It’s a fun spot to pair cheap drinks with activities that go beyond just sitting there talking. Greenwich Village has a rich music history. To explore that side of the neighborhood we recommend the Village Vanguard. The venue opened in 1935, showcasing folk music and beat poetry. Today you can hear live jazz from a stage once graced by Miles Davis, Thelonious Monk, Anita O’Day, Charlie Mingus and Bill Evans, to name a few.